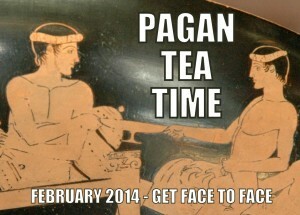 For years, I’ve said that one of my goals in life is to help build a contemporary Pagan intellectual culture. That desire has led me to teach at Cherry Hill Seminary, to write general-audience and academic books on Pagan theology, and of course, to manage writers and blog here at Patheos Pagan. And yet, one of the more powerful methods I know of building Pagan intellectual culture was something I stumbled upon, rather than something I actively sought out. I’m an initiate of a non-Wiccan religious witchcraft tradition. There are relatively few other initiates of that tradition in my local area, however, so a couple of years ago, I sought out a local Wiccan family of covens. I wanted others to work with spiritually, an existing structure I could join (rather than having to create one myself), and support for the challenging process of having my first child. Happily, I’ve found all of that and more. Although I didn’t know about it when I first approached my coven, there’s a second group that runs alongside it, often drawing in members from other covens, friends, and guests: a philosophical and literature discussion group facilitated by one of my covenmates. This covenmate was educated at a small liberal arts college with a “Great Books” program, and he designed the structure of the discussion group in the style of a forma liberal arts seminar (while also keeping a bit of ritual theory in mind). Each month, we read a book: popular fiction (dystopian and utopian novels are a favorite genre); literary fiction, like Candide; modern social or historical commentary, like Neil Postman’s Technopoly; or classics of philosophy, like The Symposium (which we actually repeat once a year). 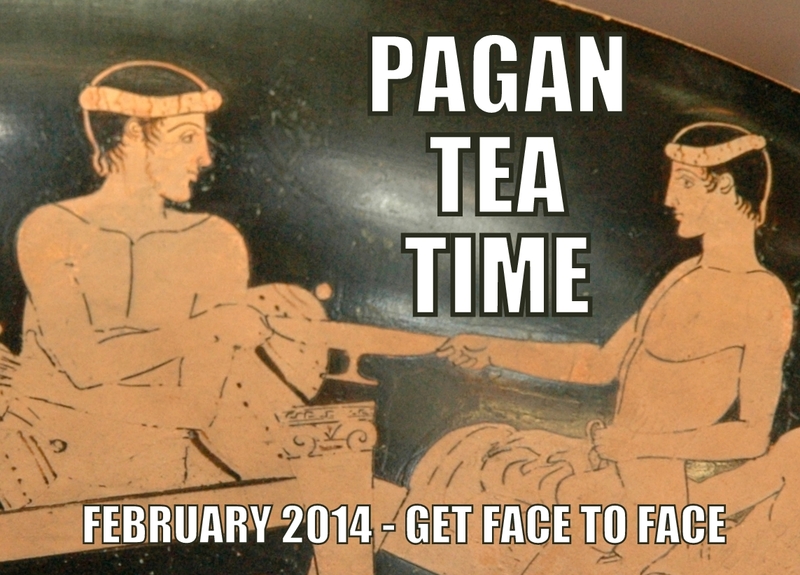 Next, we gather in person with a set start and end time – no Pagan Standard Time here. Once gathered, we sit around a table so everyone can see each other, books in hand, pitchers of water in the center, and glasses for each of us. Alcohol consumption and snacks are put off until the formal discussion is finished. To open the seminar, a participant offers an opening question (usually a different person each meeting). And then we’re off! Although the subject matter is always different, our discussions often circle around the recurring question of “What is a good life?” or, more simply, “What is the good?” (No doubt this is partially due to the fact that the group spent its entire first year reading Plato – although there are few questions more fundamental.) We debate; we play out thought experiments; at times we apply the books to our lives and communities, and at others we explore pure abstraction (like the time we read Neal Stephenson’s Anathem and then worked through a number of the proofs in Euclid’s Elements – yes, seriously!). For me, this group is a bit like being in college again, when I was thirsty to know everything, and my close friends and I would come home from class with heads full of new ideas and talk for hours—about beauty and what it means to be human, about society and what we wanted from our future. We are all a little older now, and probably more practical. But the discussions with my covenmates and our friends are juicy, and more importantly, they inform the choices we make: How do we use our resources? What is the purpose of education, or religious practice? What values do we teach our children? These discussions work their way into our writing, nonprofit mission statements, classroom curricula, art, and the way they approach patients or clients. Notably, this discussion group is relatively devoid of the kind of vicious contentiousness we often see in the Pagan blogosphere. I don’t think we are significantly more like-minded than I am with those I carry on conversations with online; in some ways, we may be less so. But here’s the real difference: we do ritual together. We eat and drink together. We take care of each others’ pets and babies. And, perhaps most simply, we sit down around a table together and talk while looking each other in the eye. Of course, it’s hardly the case that no one loses their temper while debating philosophy in person—quite the contrary. But it helps us greatly, I think, that the table is a ritual space every bit as much as our temple. The table is a place where we temporarily set our personal investments aside. It is a place where we play and experiment together, not so much a place to argue or persuade (although, argument can be a kind of play, as anyone who has ever argued something they didn’t actually believe knows!). At the table, we respect each other, but not necessarily each other’s ideas—the ideas are all open to question. And, perhaps more importantly, the table is a place where we are clear that we have thoughts, but that we are not defined by our thoughts. We do not come to the table with ideological labels: a Marxist, a classical liberal, a secular humanist, a theist, a nihilist. All these ideas are the objects we put in the center of the table to play with together, perhaps to reclaim ownership of in the end. The ritual space makes it possible to explore, defend, or attack ideas without attacking people—instead, we come to the table as friends and intellectual playmates. I’ve come to love the culture that the combination of coven and philosophical discussion group creates: the intuitive and the rational all tangled up together in community with the bonds of ritual. It’s also made me realize that not everyone knows how to participate in a seminar-style discussion, where we lay aside our ideological commitments for a specific purpose. I would love to see more Pagan groups learn to create and nurture spaces for intellectual exploration and play, held in a container of bodies, voices, and breath. To be growthful, our debates need to take place in the context of relationship, where the goal is not to persuade or win, but to seek understanding, train limber minds, and gain valuable colleagues. Of course, not all of us are fortunate enough to have local groups to practice and learn with. I suggest the next best thing—to take some of our conversations out of the realm of text alone and add sight and sound. If we can’t be bodily in the same room with each other, video chat software at least lets us see each other’s body language and hear the intonation of each other’s voices. It is vitally important, if we want to build Pagan intellectual culture, that we know one another in a way more profound than mere words on a screen. So here’s my proposition: during the month of February, if you write online, make a date to have a cup of tea (or food or drink of your choice) with another writer or commenter. Even better, be daring, and make it someone you’ve argued with. Those of you who are attending PantheaCon will have numerous opportunities to eat and drink and talk together in person, and I hope you will take them! But for those who won’t be there, I invite you to take a risk: e-mail someone (or more than one!) whose voice you’ve never heard before and ask them for an hour of their time via video chat (or failing that, phone). Get a glimpse of their pets or babies or partners. Show off your altar or your book collection or the way the sunlight slants into your kitchen. Put away your debates for a while and take the time to talk. Debates can come later. How do I grow Pagan intellectual culture? I form relationships. Won’t you join me this February? P.S. Feel free to grab the graphic above for your blog or site! And if you participate, I hope you’ll write something about it online (respecting your chat partners’ privacy, of course! ).